For me, one of the most exciting things about going on holiday is the big build up to it. You know, like the packing, planning all of your outfits, getting to the airport, checking-in off your luggage and browsing around the shops. I always treat myself to a little something from World Duty Free. So when their lovely PR contacted me saying she had some samples that she thought were very me, I was so excited! This lovely lady couldn’t have done better, every single one of these items I would have handpicked and bought myself. I was amazed when I opened the package. 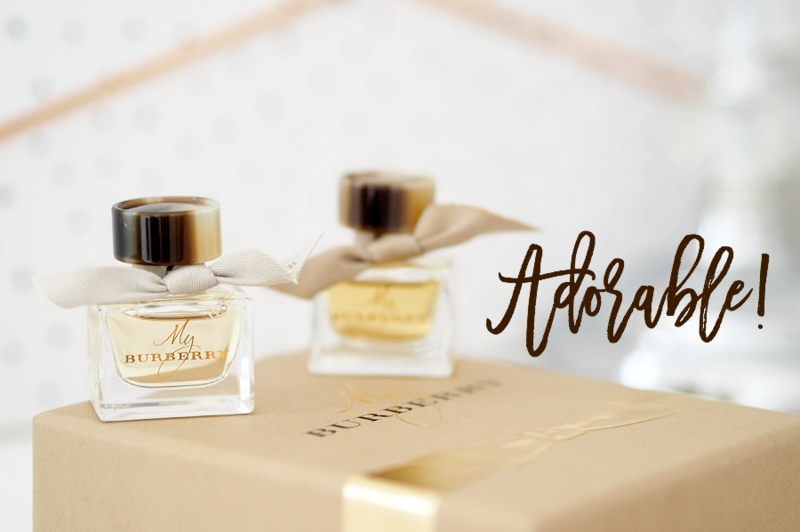 First up is the ‘My Burberry’ miniature gift set for her. Priced at £42.00* The packaging is to die for. Inside are four mini bottles of My Burberry perfume, the perfect travel sized fragrance, so easy to pop in your handbag. The little glass bottles look so luxurious with the cream and tan coloured bows, to the tortoise-shell stoppers. This perfume is inspired by the Burberry trench coat and that really comes across in the design, insanely cute. What do you guys think? Of course it smells amazing, a super fresh floral scent. 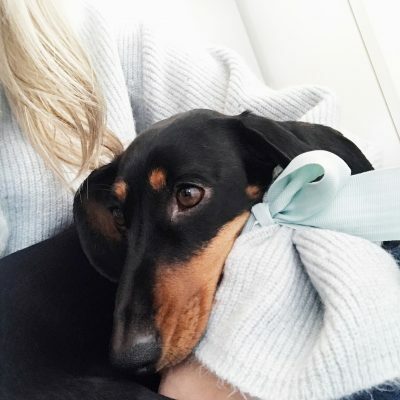 I almost cried (seriously I am not even joking) when I saw the Jo Malone travel candle set of three priced at £51.65 I treat my mum to something from Jo Malone on Mothers day every year, it’s an expensive brand but worth every penny in my opinion. The products are so beautiful and elegant. 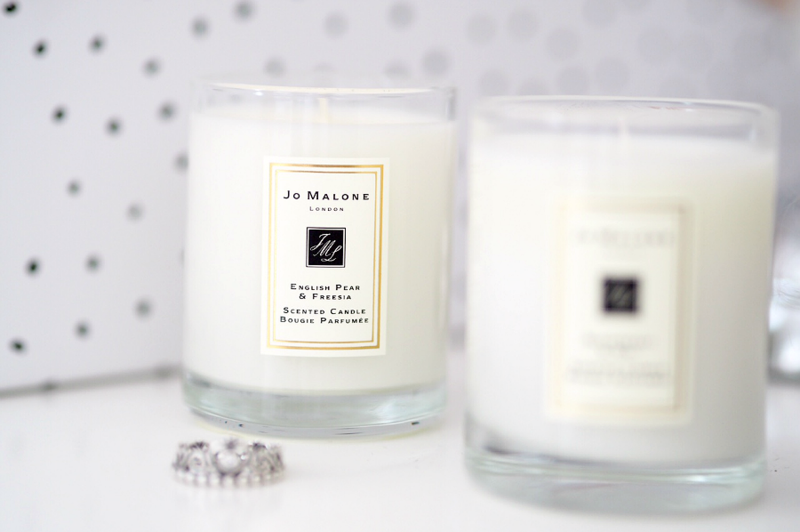 I can smell these candles on my bedside table the minute I walk in to my bedroom without even having them lit. Inside is three travel sized candles, Blackberry & Bay, English pear and freesia and Lime, Basil & mandarin …I couldn’t pick a favourite scent as I think they are all delicious. These would make a fantastic gift, for any occasion, any time of the year. 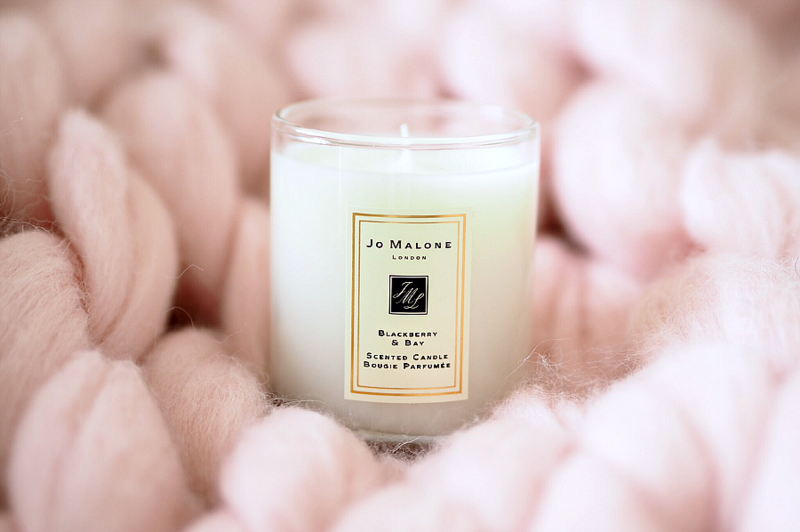 Do you have a favourite Jo Malone scent? 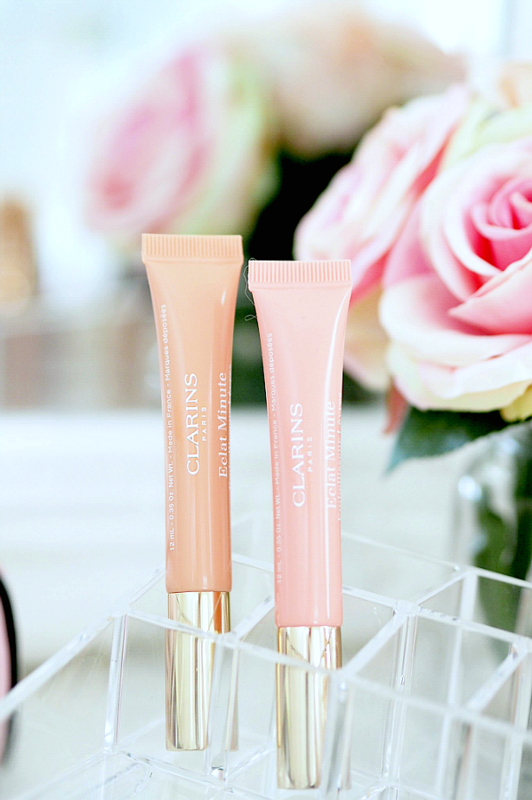 How dreamy are these *exclusive* Clarins instant light lip perfectors. Priced at £25.40 I love that they both come inside their own separate Clarins boxes within the original Clarins packaging meaning if you wanted to keep one for yourself and gift one to a friend or family member you could! These are literally my dream shades, rose shimmer and apricot shimmer, they glide on beautifully. Absolutely obsessed with these. Last but by no means least this gorgeous Estee Lauder advanced night repair eye duo! Another exclusive to world duty-free! 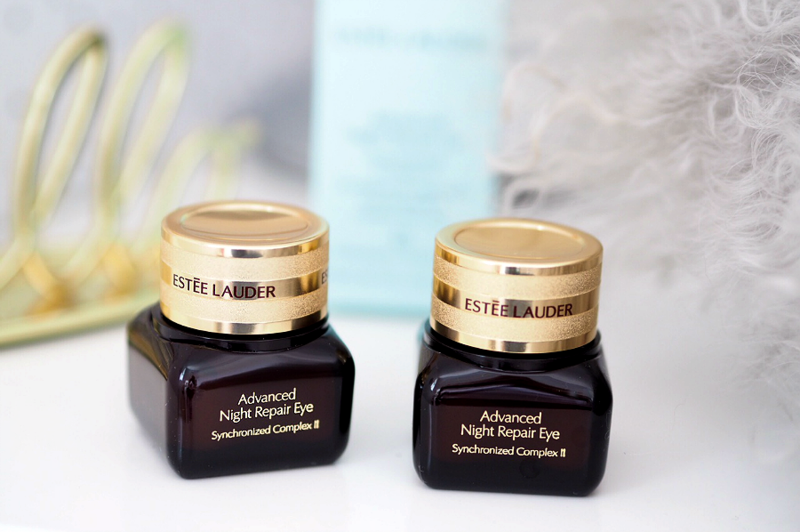 I have always been a fan of Estee Lauder Advanced night repair but I have yet to try the Advanced night repair for under the eyes! I squealed when I saw this because I am such a lover of eye creams. SO excited to try this, I will be reporting back. What do you think of these dreamy duty-free products? What do you buy when you go through duty-free in the airport will you be treating yourself to any of these? Let me know in the comments. Thank you again to World Duty free and their lovely PR for the incredible items, I am feeling very, very lucky right now. 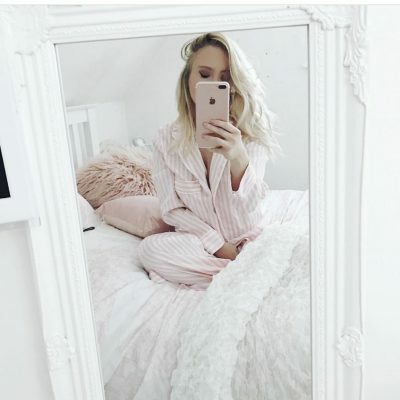 These products look adorable! You take amazing photographs! I am so jealous of your haul. Maybe it’s your awesome photography, as always! Gimme all the goodies! What incredible picks – I would be so excited to receive any of these! I don’t get to travel a huge amount because of my health problems, but if I do ever go to the airport, Duty Free is my favourite part! I can just get lost in all of the different beauty counters and forget that I have a plane to catch! Wow amazing products! The My Burberry Gift Set is freakin cute! Those little Burberry and Estee Lauder bottles are adorable! oh my gosh those mini burberrys are way too cute, so amazing and so generous of world duty free! i think blackberry and bay is my new favourite jo malone scent. it’s so fresh! I’m flying back to England tomorrow and will defo check to see if any of these are available! Hey Becky what editing software do you use for your photos? Duty-free shops are awesome! 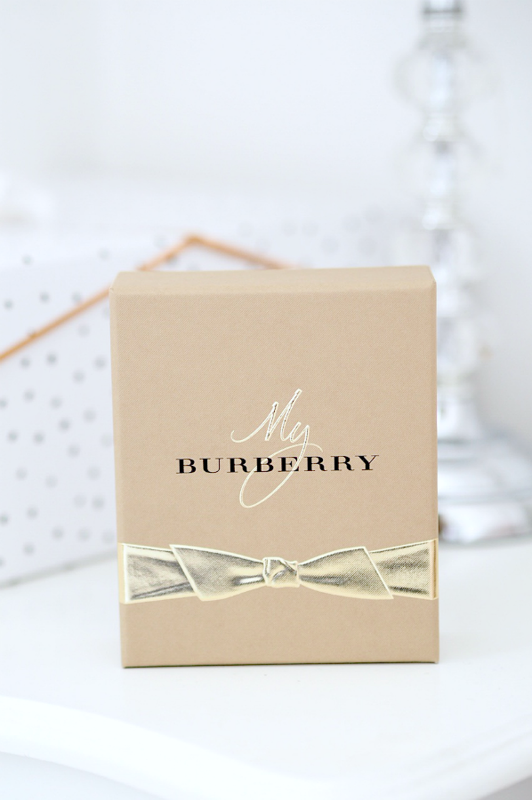 The My Burberry miniature gift set is so cute! I need to get my hands on one of these because it already won me over with the bow XD. Everything here looks really neat too! I haven’t tried any of the products but I’ll try to make an effort to check out the duty-free shops one of these days. I mean I already go through the airport a lot as it is XD.